While the primary purpose of a Brain Computer Interface is to control machines or programmes, the fact that it works by detecting and interpreting, then translating, thought signals, leaves room for more. Not only can the Brain Computer Interface allow the user to communicate instructions, but also to receive communication directly to the brain, most likely in the short term, in the form of sound bypassing the ear drum. The fact that two way communication is essential, where there must be input and output, and the Brain Computer Interface would enable this. We’ll be communicating human-to-human, whether across a room, or the globe, through thought using this new interface technology. For example, my thoughts are input into a device, and then relayed to brain of the intended recipient. After which, I would receive a response by the same means. Without microphones or ear-plugs, we communicate bypassing voice boxes and ear drums, where we may not even speak the same language. A thought, is translated into the language of preference of the recipient.When language, voice and ear drums are no obstacle, nor too technical competency or literacy, in communication, barriers to communication, will indeed virtually disappear. Thus far, the Brain Computer Interface, as I have discussed it is all about communication involving the human brain connected with technology. Humans are not the only organisms with brains however. Apart from Micro-organisms, certain groups of marine animals and other rare creatures we do not often consider, most animals we encounter or that we might see at a zoo have a brain or system that allows for thoughts and cognition. Brain signals exist in animals, though perhaps operating in different ways or at different frequencies than humans. However it is a matter of time, before the same type of thought reading apparatus used for human-to-human interaction can, and will, be adjusted to identify, decipher and read animal thoughts. This is a admittedly, not a possibility within reach any time soon. 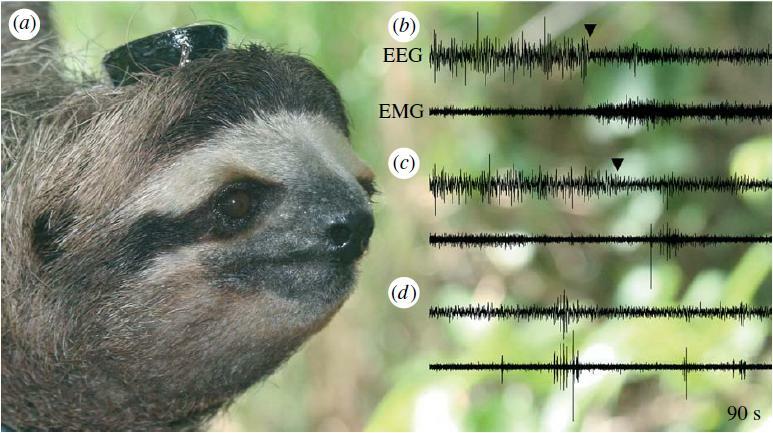 Extensive work will have to be done to identify and decipher brainwaves of any animal, to create a system that fulfils the same function within it’s brain, as the system currently being evolved for humans is intended to fulfil. A timeline here is therefore not possible to really estimate. That the technological progress to enable humans to read animal minds and to communicate back to them will happen, is a definite possibility, because of both scientific feasibility given what is already known and the human interest to understand other living beings that share our planet. And because it is a probable eventuality, it is valuable to forecast a scenario, where the technology becomes an actual reality.Imagine what could happen if we could use such technology to converse with animals, as we converse with each other in the present day. What would the subjects be? Perhaps spirituality, where we ask animals if they understand the concept of life and death, and if so, what it means to them? Do different animals believe in an afterlife? Do they believe in a heaven or a hell? Do they believe in karma or a greater entity? Do they worship in their own way? The NoMoreWoof is a simple device that is an early prototype of the concept of a animal to human BCI developed by the Nordic Society for Invention and Discovery, a self described “Scandinavian Skunk Lab”. The device operates through the use of one or more EEG sensors placed in a headset designed to be worn by a dog. Instead of a brain to brain connection however, the device simply produces audio from an included speaker. Unfortunately the NoMoreWoof is a very early experimental design and can only classify a few thought patterns, i.e. the one sensor device is able to distinguish 2-3 thought patterns, listed as “Tiredness, Hunger and Curiosity” although a planned two sensor version may be able to distinguish 4 or more thought patterns. I have written this commentary at some risk. I am anticipating significant criticism, professional and otherwise. I am anticipating even ridicule. The subject certainly appears less than viable commercially at this present point in time. It sounds more like a fantasy, science fiction or imagination than not, even though it is indeed much more than this. It does not sound at this present point in time, like a credible subject of business discussion or commercial thought. Despite that I have gone ahead with this article, in hope to enable this vision, to start the ball rolling for human-to-animal communication development and forecasting of future possibilities. I seek to drive interest towards accelerating any such developmental efforts. In short I wanted to be share a Futurist vision on the topic.